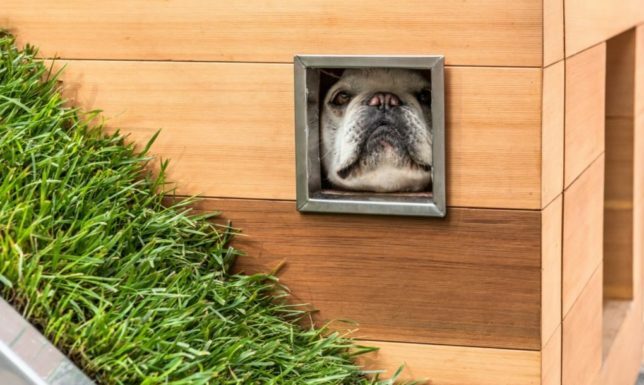 It may not stop Fido from tracking in mud on his paws, but this doghouse can reduce your best friend’s carbon footprint while providing different levels of entertainment (plus bonus treat storage drawers). 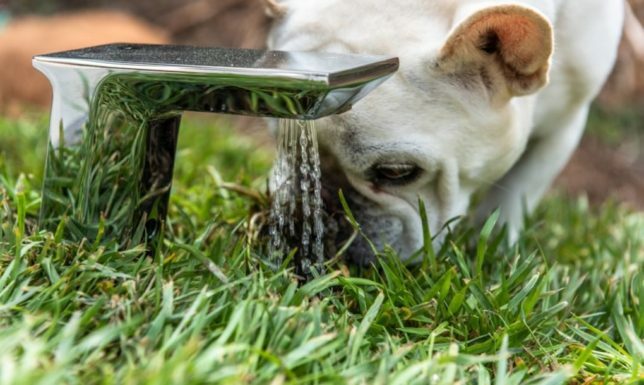 Topped with a green roof (accessed by a sod-covered ramp), the house features a built-in water fountain that can be used both to irrigate the upper lawn and quench a pup’s thirst. A solar-powered fan also provides indoor cooling for hot dogs. 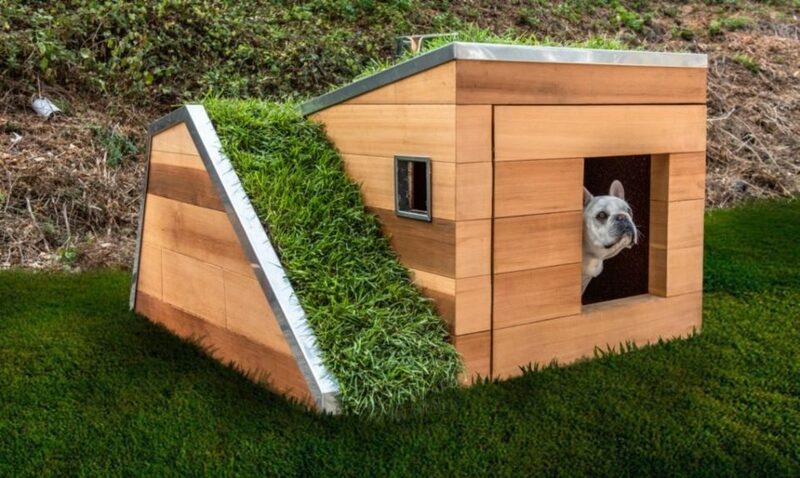 That green roof ramps down to connect to a lawn below, tying it in functionally and aesthetically to the surrounding yard. 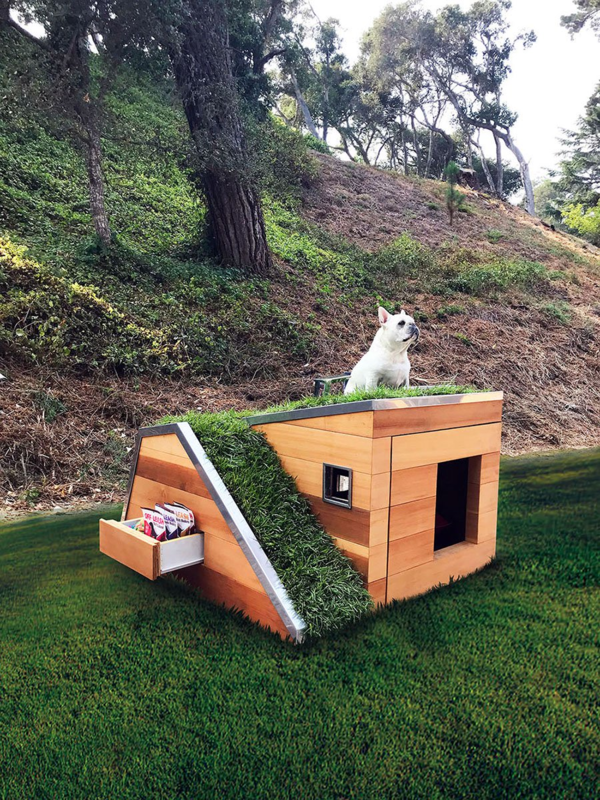 All in all, the place combines the aesthetic of a traditional dog abode, a cozy cabin and a modern house. On the side of the home, a hidden drawer opens to reveal food, toys and other rewards for good dogs, making use of the space under the ramp (much like under-stair storage in a normal house). 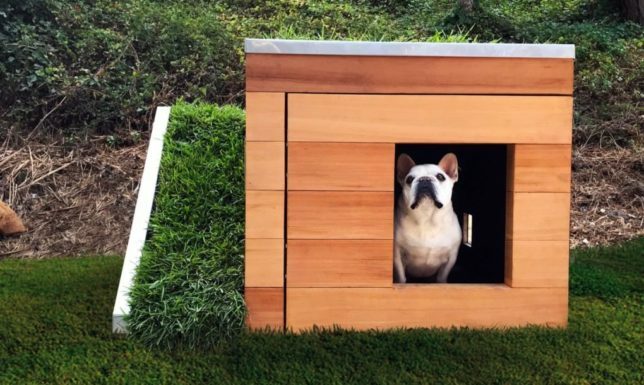 Best of all: this sustainable dog house was auctioned off to a good home by Carmel Canine Cottages, its proceeds going to benefit the Society for the Prevention of Cruelty to Animals (SPCA). 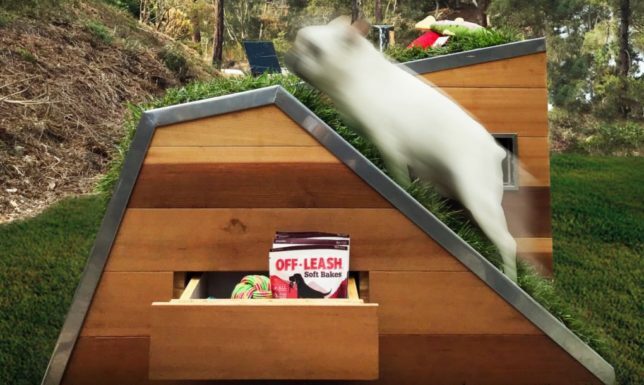 Meanwhile, no one is stopping dedicated pet owners from building their own!